Recently, analogies of the LEVITRON to traps for microscopic particles (e.g., electrons, neutrons) have been recognized by scientists working in the fascinating area of research where matter is manipulated and examined, one such microscopic particle at a time. The first to recognize the analogy was Dr. Michael V. Berry of the University of Bristol. Dr. Berry, inspired by this recognition, published a thorough exposition of the physics of the LEVITRON's operation (3). 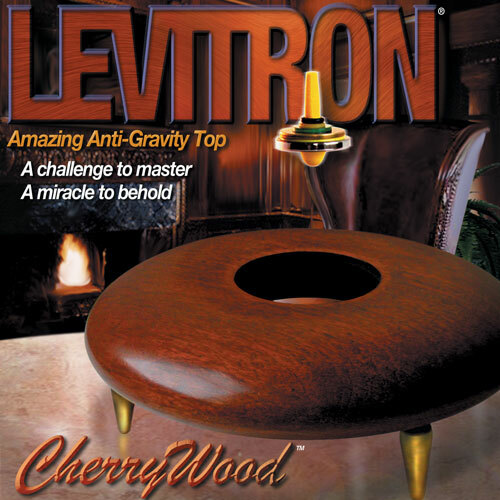 Dr. Berry's paper is the best existing explanation of how the LEVITRON works and he kindly prepared for us a brief encapsulation of its major themes, which we present below. Those wishing to read the full exposition should request a copy of the paper from Dr. Berry (c/o the H. H. Wills Physics Laboratory, Royal Fort, Tyndall Avenue, Bristol, BS8 1Tl, United Kingdom).